cuban kitchen 2, originally uploaded by a sack of seattle. This is a second photo of a cuban kitchen. I may have taken the photo....but can't be sure. And yes, it's a picture of a pig that lives in the kitchen. 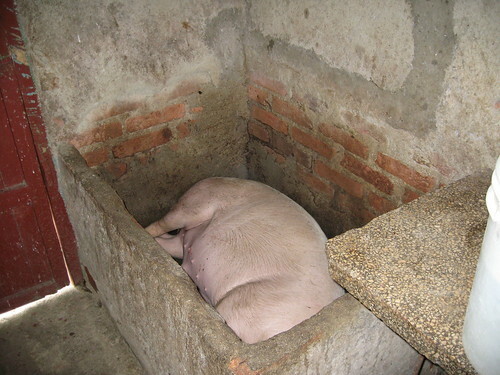 Supposedly, this pig acts as a very effective compost solution. That is, of course, until the pig becomes Christmas dinner. September 10, 2008 by Andy Sack.